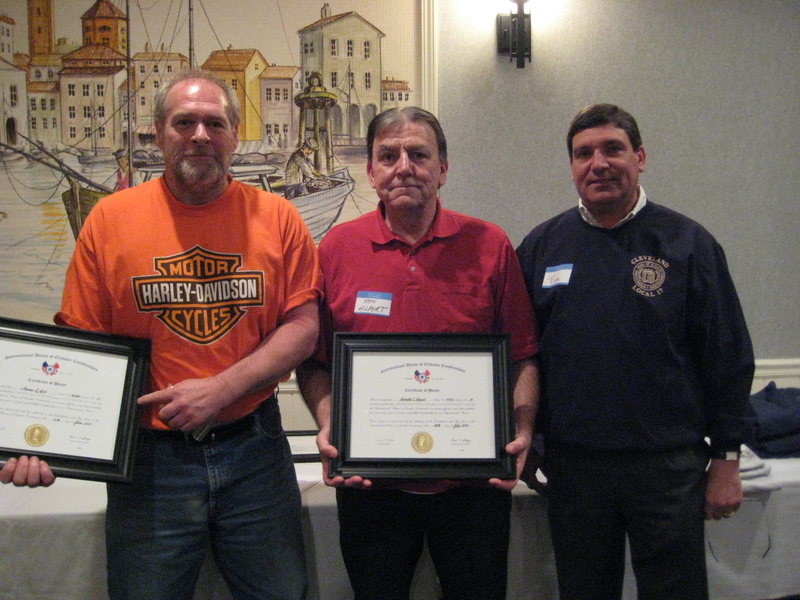 As always, IUEC Local 17 uses this opportunity to recognize members that have achieved milestones in their careers. 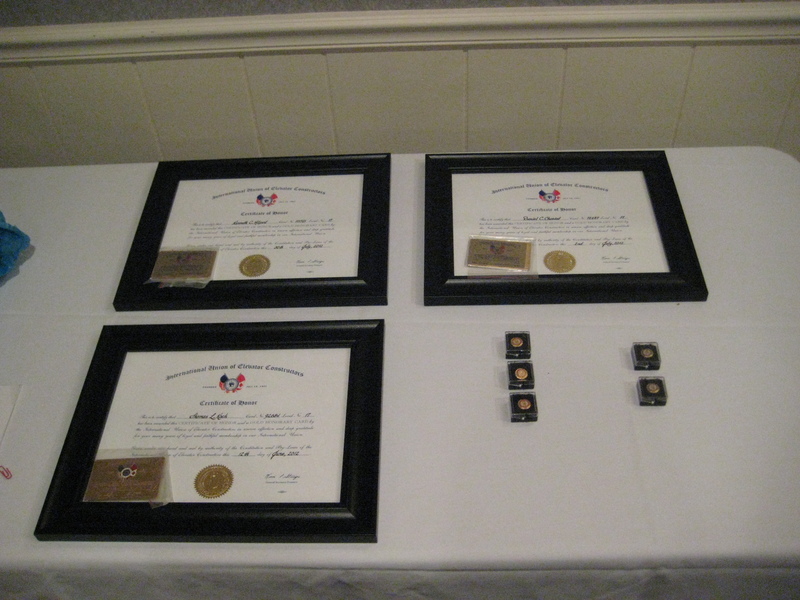 Here are the plaques recognizing those retirees being honored with a Gold Card, and pins for those with 30 years and 35 years of service. Along with Business Agent Tim Moennich, right, are Gold Card honored retirees Tom Koch, left, and Ken Hilpert, center. 35 years of service in any industry is significant. 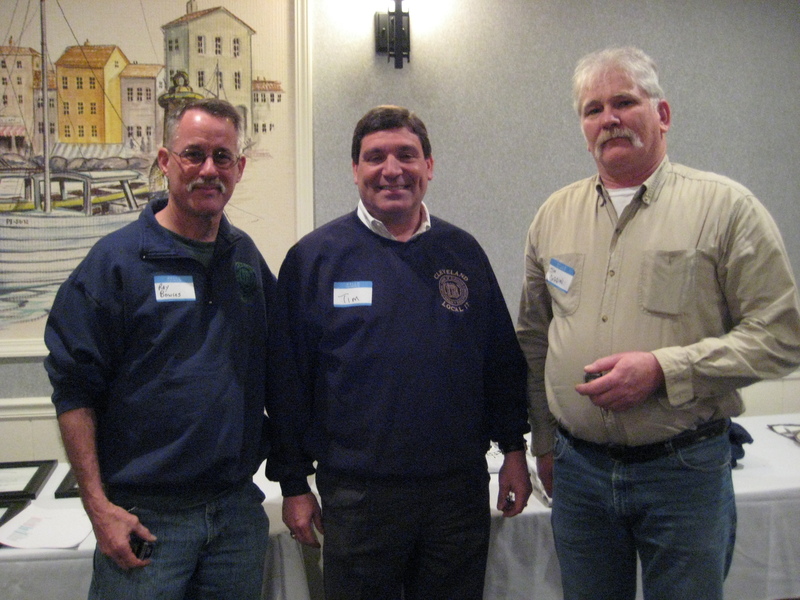 Receiving service pins are Ray Bowles, left, and Jim Goggin, right. Business Agent Tim Moennich is in the center. 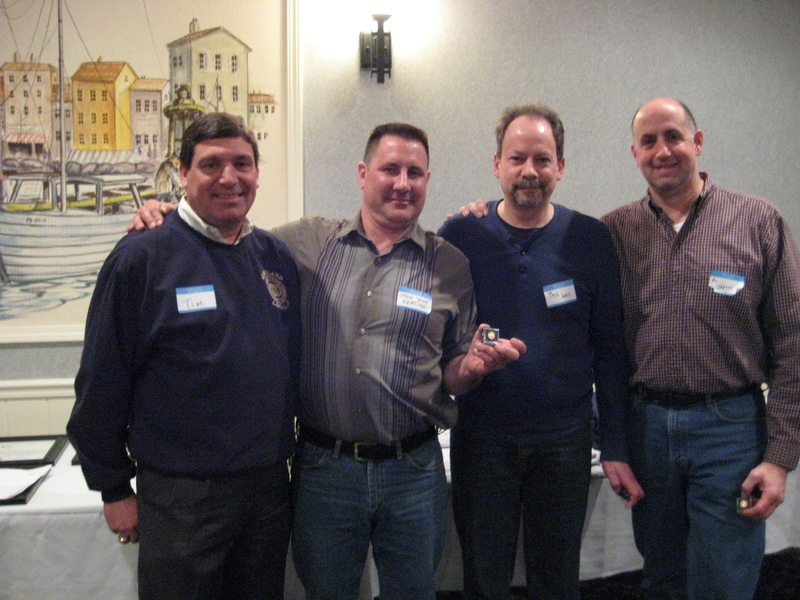 Receiving their 30-year service pins are from right to left Al Jerson, Bob Hess and Todd Keating. Business Agent Tim Moennich is to the left.